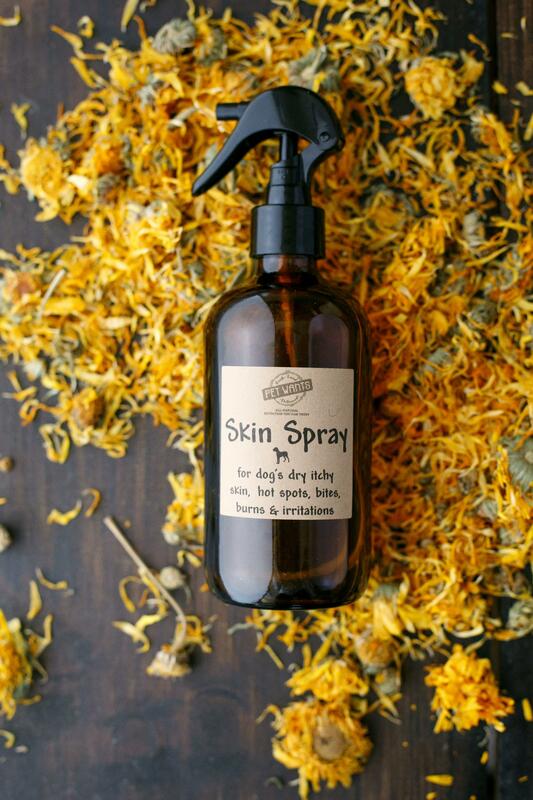 Pet Wants Skin Spray is perfect for hot spots, dry itchy skin, bug bites, burns or irritations. Made locally with Therapeutic Grade essential oils. Uses: Hot spots, dry itchy skin, bug bites, burns. Made locally with Therapeutic Grade essential oils. Directions: Spray directly on to irritated area or all over for dry itchy skin. Repeat 1-4 times daily as needed. Do not spray in dogs face or near eyes. SHAKE WELL BEFORE USE. Witch Hazel: Instant itching relief, tightens the skin which reduces inflammation. Aloe Vera: Soothing healing support, anti-inflammatory, moisturizing, anti-bacterial, anti-fungal. Vegetable Glycerin: Moisturizing, natural preservative. Avocado Oil: Source of omega 3 fatty acids, vitamins A, D, E, moisturizing, contains natural steroids. Lavender: Promotes tissue restoration, antibacterial, anti-microbial, anti-fungal. Cedar Wood: Prevents wounds from becoming septic and defends from toxins. Geranium: Revitalizes body tissue, supports circulatory and nervous system.